Amira Boutouchent didn’t always know that she would be an entrepreneur. After studying management and getting a masters degree in computer engineering in her native Algeria, she spent years taking on a number of different roles, including bringing a TEDx conference to Algiers. Eventually she moved to Montreal, and it was there that while exploring different ideas about her future, she came across the Montreal Founder Institute - the beginning of an exciting and demanding journey. During this process, Amira discovered a huge problem facing the fast-growing number of small and medium-sized manufacturing businesses. Most manufacturing businesses are good at manufacturing, but bad at operations. As a result, they often seek the help of large consultancies, but their solutions typically require an average of 60 days before a deal closes, and a minimum of $120,000 per project. Another option is the massive pool of indepedent freelancers that are willing and able to help them, but this talent is largely hidden and considered risky by manufacturers. While this is good news for large consultancies, it is bad news for SMB manufacturing, and is ultimately hindering the market's growth. From this market problem, Bridgr was born. 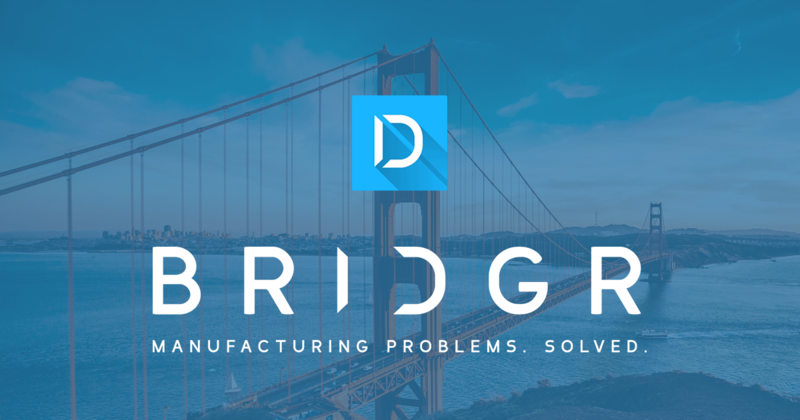 Bridgr is an online platform that helps small and medium-sized manufacturing companies find and collaborate with validated and qualified independent experts to solve their operations issues, allowing them to grow quickly without the need for expensive and time-consuming consultancies. Their solution not only cuts the onboarding time to days (versus months), it also reduces the minimum spend 4 fold (from $120,000, to $30,000). We truly believe that work should be a pleasure not a constraint and that with the right tools and a better use of technology, individuals as well as companies can do a better job at overcoming their challenges and fulfilling their true potential. Amira and the Bridgr team are not the only ones who see the opportunity in solving this immense problem in the market. In fact, the company's list of advisors includes people with some serious clout, including Jeff Hoffman (Founder of Priceline.com). Today, Bridgr is growing not only its customer base, but also its product. The platform helps clients through an online diagnostic exam, and then connects them to pre-vetted and curated experts. Once the two parties are connected and the “bridge” is established, the company works with both the expert and the Bridgr team to accomplish its objectives. Be honest with yourself, dream big and never give up. Failure is part of the game so fight for it!